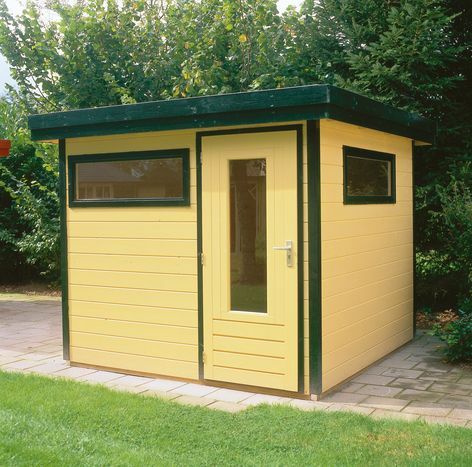 Lugarde Prima Flat Roof summerhouses can also be used in the 3=1 series. The roofing material consists of a one piece rubber matting edged all around with aluminium strips. Prima Mark is available in two sizes. 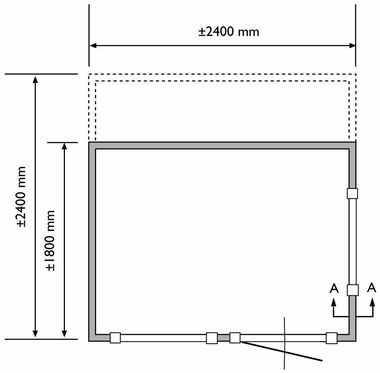 Size approximately 2.4 x 2.4m in 28 mm log thickness. The standard package includes 2 Fixed Windows PJ06 and a single door DD02.